John Isner won his fourth BB&T Atlanta Open title on Sunday, thrilling the home fans and overcoming issues with his knee and hand to win a pair of tiebreaks 7-6 7-6. The difference in the match was just four points in total, and the match took nearly two hours on Sunday afternoon. Isner, who suffered from knee soreness starting in the first set, served up 23 aces, and won well over 80% of his first serve points. The first set featured no break points. The first set tiebreak had plenty of minibreaks though, with Harrison failing to take a set point at 6-5, and eventually getting broken to lose the first set 8-6 in the breaker. The underdog American kept his focus from a set down, he broke Isner early in the second set, but was broken right back and despite Isner damaging his hand on his racquet strings, a second set tiebreak would ensue. Harrison won the first minibreak to go up 2-0, but it was all Isner from there, he took the match on his second match point, 9-7. Isner has now won two tournaments in two weeks, and eight matches in a row, as he took the title in Newport the week prior to Atlanta. There is no place Isner feels more comfortable than the BB&T Atlanta Open, and Harrison couldn’t disrupt that. Bob and Mike Bryan won the doubles title 6-3 6-4 over Koolhof/Sitak, it took them less than hour to win their second ATP doubles of the season. The Bryans also have two titles total in Atlanta, this time it took them less than an hour. Andy Murray, the world #2, improved to 1-2 on the season against world #1 Novak Djokovic, as he toppled the hobbled Serbian 6-3 6-3 in rather routine fashion. Djokovic faced break points early on, and was broken once midway through the set, failing to challenge further as Murray took it. In set 2 he gave Murray a tougher fight, the Brit had to save break points in both of his early service games before he broke midway through and went on to serve the set out without too much difficulty. Djokovic was clearly not at 100% this week, and it’s understandable that a player as talented and consistent as Murray would find a way to defeat him at less than his best. Djokovic still will be the favorite to win the French Open though, with Rafael Nadal, and Murray, along with Rome semifinalist Kei Nishikori serving as other possible champions. Murray moved to 20-5 on the season and took his first Masters title of the year with straight set wins over Mikhail Kukushkin, Jeremy Chardy, David Goffin, and Lucas Pouille, as none of those players are elite and failed to give him much of a contest, even on clay. Pouille, a qualifier, broke through with wins over Ernests Gulbis and David Ferrer, before he got a walkover against Juan Monaco in the quarterfinals. Pouille got the seedline of Jo-Wilfried Tsonga when Tsonga withdrew. Monaco pulled out after upsetting Stan Wawrinka. The Frenchman certainly gained more fans in advance of Roland Garros 2016. Djokovic dropped sets against both Thomaz Bellucci, and Kei Nishikori in the semifinals. He also vanquished Stephane Robert, and his rival Rafael Nadal, narrowly edging Nadal in two sets. Against Nishikori he had to win a third set tiebreak, and though he was injured, the Japanese #1 couldn’t take advantage, choking under the pressure of trying to beat the world #1, something he has failed to do since reaching the US Open final some time ago. The Bryan brothers returned to the winners circle in doubles, capturing the title in Rome for the fourth time over the North American pairing of Jack Sock/Vasek Pospisil. This year’s French Open doubles action promising to be quite entertaining, and interesting with a host of teams in contention for the title, including the veteran American twins. 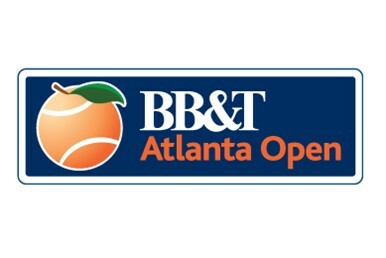 Two of the smallest players on the ATP World Tour, Ricardas Berankis and Dudi Sela pulled off big wins on Thursday at the 2015 BB&T Atlanta Open. Berankis reached just his second ATP quarterfinal of the season with a surprisingly dominant upset of world #48 Steve Johnson 6-4 6-2 in just over an hour. The first set was cagey and close with two early breaks of serve but Johnson was the one who blinked in a crucial moment at the end of the first set, as he was broken to go down 5-4 and the tenacious Lithuanian ball striker followed that break up with a love hold to take the first set. There was a rain delay that last less than a half hour in between sets, and Johnson cmae out struggling in the second, as he promptly went down a double break and 4-0, and looked entirely rattled, firing errors off his forehand side and failing to do damage with his serve. By contrast Berankis was moving well, striking the ball with both speed and slice, and his serve was a tough customer as Johnson shanked a lot of returns. The American failed to recover from a slow restart and slumped to a 6-2 second set loss. Defending finalist Dudi Sela of Israel reached his first ATP quarterfinal of 2015 as he scored a quality win over fellow veteran Benjamin Becker for the second year in a row in Atlanta. Played on the sunbaked grandstand Sela prevailed 7-5 6-3. The match began with consistent and routine holds of serve by both players, Becker had the stronger serve and was untroubled through three games, while Sela did well with is one handed backhand and mixed in variety 3-3. At 3-4 Sela had to save a break point in what was a long and tough deuce game with the first set hanging in the balance. Becker simply lacked consistency on his groundstrokes and wasn’t rallying well on the day, as he failed to break, and broken in his own right at 5-5, eventually dropping the first set 7-5. In the second Sela continued to battle away and keep the pressure on Becker, as the German’s level dropped considerably. Becker got broken for 2-1, had to save 5 break points from 0-40 down at 2-4, and then was broken one final time to drop the second set 6-3. His back didn’t seen to be bothering him, but Sela showed superior fight and had a more interesting game. In the final game of the match he approached the net on a netcord and hit a no look volley. The Israeli, who has a full team this with him this week, clearly enjoys playing in Atlanta as he stays alive in the quest to defend his final points from 2014. Two Americans also advanced in singles, John Isner edged out two tough tiebreaks against Radek Stepanek 7-6(3) 7-6(7) in two hours of play. The first set featured multiple rain drop interruptions as Stepanek couldn’t hold onto an early break. Stepanek had to save two break points at 5-5, and had a half chance at a break up 6-5 but he couldn’t convert and Isner played a more consistent and superior tiebreak. The Czech’s first serve was lacking, and he had more double faults than aces. Given Isner applies a lot of pressure on his opponents by holding serve nearly every time, Stepanek was consistently under the gun when he had to serve up so many second serves. Additionally Stepanek, who normally plays an aggressive brand of tennis and enjoys coming to net, was pushed back, and kept back to the baseline by Isner’s imposing size. Stepanek, who hasn’t played a lot of matches this year, didn’t seem comfortable in his rallying abilities side to side and thumped more groundstroke errors than you’d normally see from him. Forced back, and facing a serve that kicked and spun at or above his head on a constant basis, he appeared frustrated and searching for answers, answers that he never found as he was clearly out of sorts. Stepanek, as in the first set, went up an early break in the second and was 4-2 up, with two chances at a 5-2 double break lead, however Isner beared down and with the fans behind him kept fighting in the set. He broke on his third break point chance in the game for 4-4, then with the momentum swinging in his favor forced Stepanek to save two match points serving 4-5. Going into the tiebreak it seemed likely Stepanek’s inconsistent serve would let him down, and that it did as the only minibreak went to Isner, and he went on to serve out the tiebreak 9-7, his match win boosted by 33 aces. The twice defending champion remains not only a fan favorite, but a top talent in this tournament, and a difficult opponent to get past. #3 seed Jack sock proved to not be a difficult opponent to get past for his countryman Denis Kudla. Kudla may well be in the best form of his career as he upset Sock 7-6(6) 6-3. The match began with the players trading breaks, and they would do that handoff once more as it went to 5-5. From there Kudla had to save three break points to prevent Sock from being able to serve from the set, and then it went to a tiebreak. The baseline battler Kudla was hitting the ball with flat pace, while Sock appeared rushed for time on his returns, and his forehand especially was posting uncharacteristic errors and shanks. Both players had weak serves and the tiebreak was all about rallying and return, Kudla had to save a set point, but he did so comfortably and took a lead over Sock he wouldn’t relinquish. In the second Kudla went up an early break, and held easily to 4-3. Sock had two break point chances to dig himself back into the match there but oncemore he couldn’t convert, and with the unforced errors piling up Sock lost his fighting spirit and collapse out of the tournament in straight sets. For such a rising young talent, Sock has to be aiming for more in the rest of the Emirates US Open Series tournaments. In doubles Fleming/Muller beat Baghdatis/Jaziri 7-6(8) 6-2, as Muller continues his winning ways. Additionally the Bryan brothers had a surprisingly tough 7-6(5) 7-6(4) win over Huey/Johnson. The Bryans started off on fire and clicking, 5-1 up, but Huey/Johnson fought their way back and had a legitimate chance at a shocking upset, however the chemistry and consistency of the brothers resulted in them winning the pair of tiebreaks. Four singles quarterfinals, and two doubles matches will take place on Friday. In doubles Eubanks/Young will face Krajicek/Monroe, and Fish/Roddick will look to continue their winning partnership over Butorac/Sitak. The four singles quarterfinal matches are headlined by the first ever meeting between former top 15 veteran Marcos Baghdatis, and the tenacious Vasek Pospisil, who survived cramps to get this far. Pospisil is a battler with a big serve, and Baghdatis has been in excellent form this tournament, upsetting the big serving Sam Groth in the previous round. Additionally the big serving Gilles Muller will look to move to 5-0 against defensive baseliner Go Soeda in a match that should be a style clash. Kudla will face the undersized Sela in a match that should feature variety ball striking, and Berankis will try to topple John Isner after a three set loss against him in Houston 2013.